In this house, we respect and hold to the Oxford comma. We believe its existence is essential for clear communication and AP Style is inferior because of its omission. But what if I told you that we’ve gone beyond opinion? What if here in the States a missing Oxford comma now holds legal implications, and its exclusion can cost a lot? Well, we Oxford comma disciples have recently won a great victory. Thanks to a 2017 ruling from The State of Maine we now have a legal precedent for the inclusion of our beloved Oxford comma as this handy video from Half as Interesting explains. Huzzah! Long live the Oxford Comma! Long live our Punctuation Champion of the World! We have returned, slightly jet-lagged (but recovering), from our trip to the northeastern United States. New England as a whole is lovely. I’ve been there only once before, making a trip to Rode Island and the surrounds. This time around, Kari-Lise and I went for the Labor Day weekend to celebrate the wedding of my brother-in-law in northern New Hampshire. Then we extended our visit into a week-long road trip—an extended celebration from our anniversary trip in July. We made a big loop, heading north out of Boston, then swinging east into Maine before we headed down the coast and back to Boston. This time around I figured it’d be the best to break it down around our three central stops: Lincoln, Acadia National Park, and Salem. Lincoln is a small tourist town nestled in New Hampshire’s White Mountains. It’s beautiful countryside full of rolling hills covered with thick forests of deciduous trees. We were a few weeks early and weren’t able to experience the fall colors, but the soft green hills were lovely. The wedding weekend was a three-day long party for us, and it was a blast. It was great to connect with family and meet new people. 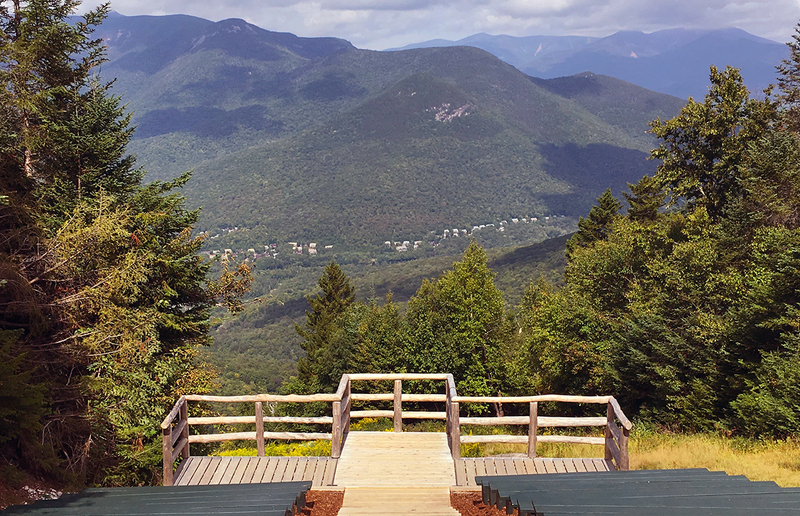 The ceremony itself was held atop Loon Mountain, a ski resort accessible via a gondola. It was a quick service at one of the most beautiful settings I’ve seen, and it was an honor to be invited to attend. My brother and sister-in-law now live in Hawaii a bit of a jaunt from New Hampshire but not too far from the Pacific Northwest. Clearly, we’re going to have to go visit. I’ve never been to the Hawaiian Islands. After the weekend, Kari-Lise and I drove the back roads of Maine making our way toward Mt. Desert Island and Acadia National Park. Maine is a rolling landscape pocked marked with lakes and rivers and small towns. 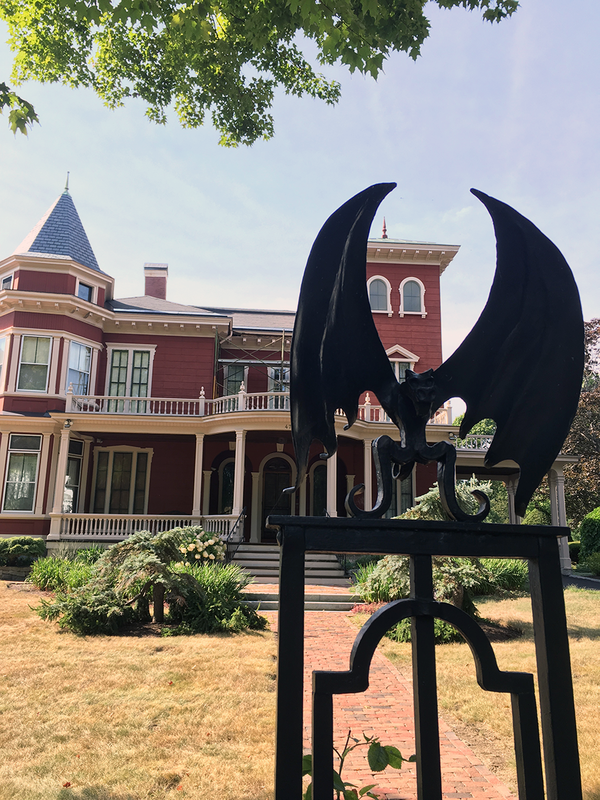 We made a brief pilgrimage through Bangor to the site of Stephen King’s house and saw his infamous gate. I have to be honest, it felt a little weird to be standing outside his house. I’m a fan, and his work is a big influence on my own, but at the same time, it was like a strange little invasion of privacy. So, I’m sorry Mr. King, but you do have a cool gate. From Bangor, we drove to the island. Much of the landscape reminded me of home: a myriad of lakes and rivers, glacially formed valleys, rugged coastlines. Our home base was an old hotel in Southwest Harbor a small village on the western side of the island located along Somes Sound. It was a nice little post for the next three days. Lobster is everywhere and… it’s fine. I’m not sure I understand the hype. When it comes to my preferences for sea bugs I’m much more partial to crab, heck, even shrimp. Lobster, on the whole, tastes relatively bland to me. It lacks the sweetness found in other crustaceans. I tend to like it better as an ingredient in something—a salad or a bisque. We did have lobster and grits at a restaurant called Coda in Southwest Harbor, and it was phenomenal. So when done right, it can be really effective. That meal was easily the best on our trip. Acadia National Park was stunning. We spent several days in the park. The first day was dominated by an eight-mile hike to the top of Pemetic Mountain. (Here’s the trail which we hiked and then combined with this one.) We also caught the sunrise atop Cadillac Mountain, witnessed several sunsets all over the park, ate popovers at Jordan Pond House, explored the craggy coastline, and toured a few gardens. I feel like we caught most of the park in those packed days. Acadia is a busy place—even in September after the kids go back to school. It’s tiny, and as such, it can get a little crowded especially around points of interests. (Not too dissimilar from Yellowstone in July and August.) It continually is in the top ten when it comes to visitors, and I can see why. After Acadia, we drove the last leg of our road trip heading south to Salem, Massachusetts. Taking time we stayed along the coast and passed through Essex County aka Lovecraft Country. Things have changed a lot since ol’ Howie’s day, but we hunted down (roughly) the location of the fictive Innsmouth near Essex Bay. It’s charming. Rural in some places, built up in others. The towns and small farms are picturesque. 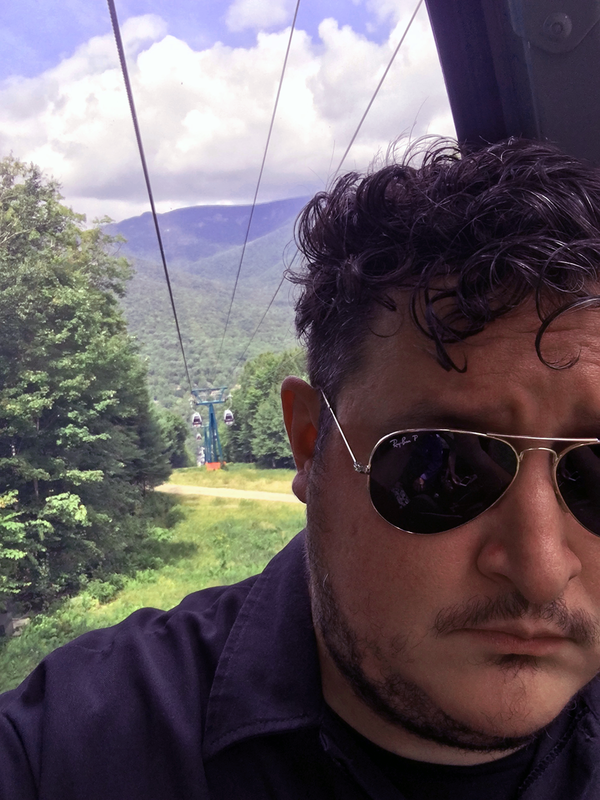 It lacks much of the foreboding and uneasiness one would expect reading Lovecraft’s writings—even with the summer thunderstorms passing overhead. But I can see the appeal. A lot of history in that part of the country. We arrived at Salem that evening and walked the town wandering through The Burying Point graveyard during a storm which certainly added to the mood. The next day was our last in New England. We opted to stay in Salem since it was near the airport and was full of all sorts of weirdness. On the more serious side, we visited the House of the Seven Gables and the Salem Maritime National Historic Site. Both were excellent. Longtime readers know that I’m a sucker for history and both Kari-Lise and I love roadside attractions. So, of course, we took the opportunity to visit some of the goofier museums in the area. There’s plenty of both to be found in Salem. It seems like every corner has some museum willing to spin you their version of the Salem witch trials. We hit up two: the Witch Dungeon Museum and the Witch History Museum. Both had that bizarre dated feel that I love. You know the type: disjointed narratives presented in a dim room filled with lovingly crafted mannequins that haven’t been dusted in decades. Both told the tragic story of the Salem Witch Hunts, and both tried hard, but the life-sized dioramas from the 70s made the whole thing feel silly rather than serious. Luckily, they paled in comparison to our walking tour with a local guide named Jeff. His knowledge of the area was impressive, and his tour opened up the story in a way the museums can’t achieve. He has an intimate understanding of the stories of the victims, and he really made the tragedy feel more alive. It was an excellent cap to our time in Salem. The next morning we packed up and made our way to the airport for an early flight home. The United States is enormous and there’s as much to see here as there is in the wider world. Unplugging from the internet and the news cycle was refreshing. Mentally living in the moment had a recentering effect. Coming back really put the drama on social media and in the twenty-four-hour news cycle into perspective. It all feels so small and so much of it is incredibly petty. It was a fantastic little trip. Much fuller than I had anticipated. Celebrating a wedding, visiting a national park, and delving into some history was an excellent way to spend a week. The weather worked against us a few times, but it was good to go beyond Boston and explore the countryside. Travel is energizing for me creatively, but it’s good to be back home. Autumn is quickly settling into Seattle, the nights grow longer, there’s a crispness to the air, and the rains have returned. And, as always, I have books to write.